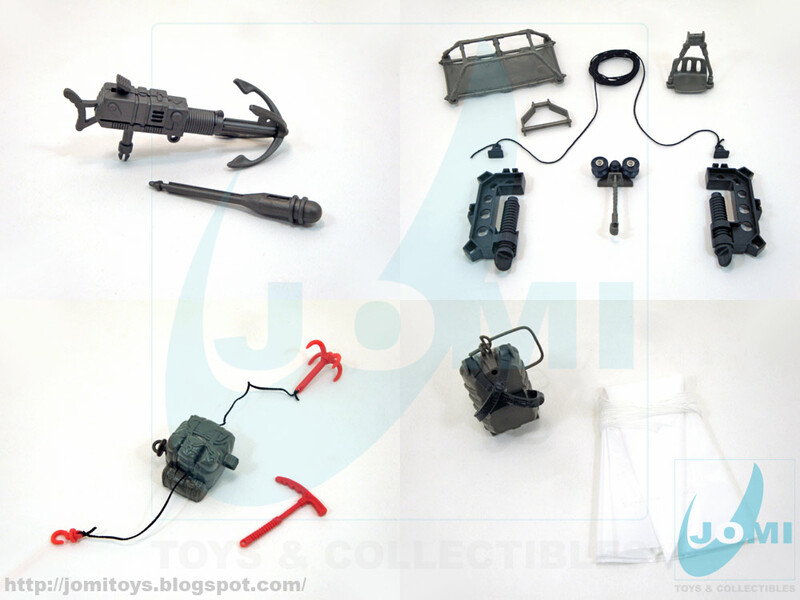 JoMi toys - under maintenance : Police Force Series II Deluxe Action Figure Playset - All new pictures! 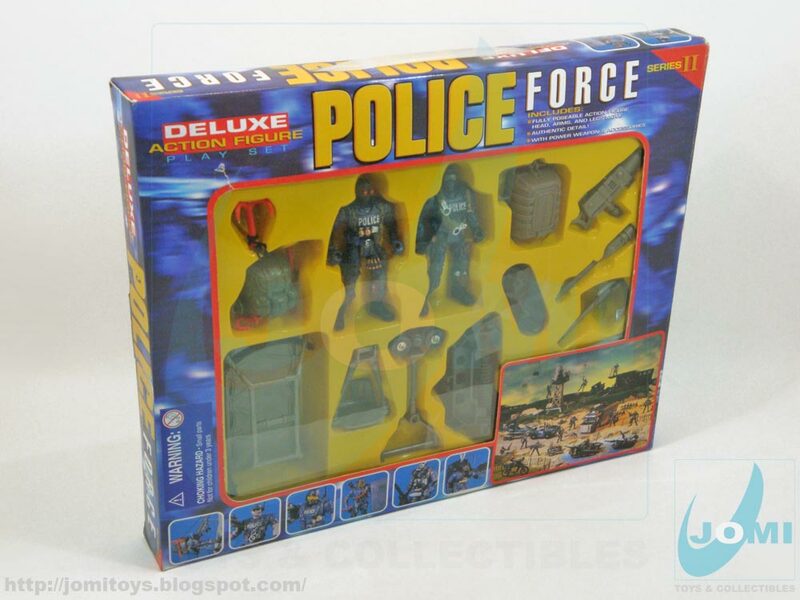 Police Force Series II Deluxe Action Figure Playset - All new pictures! 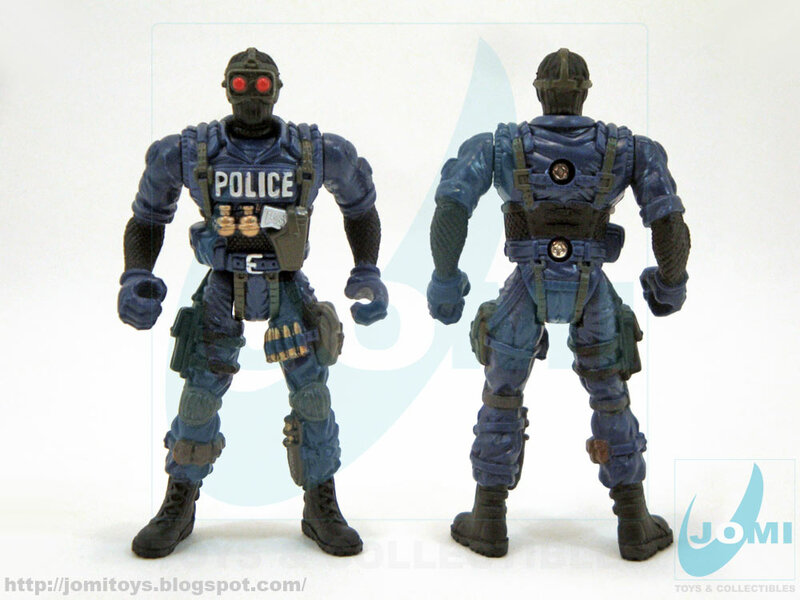 Time for some more nostalgia and for 2 of the coolest Police Force action figures... ever! Police Force Series II basically brought the police (S.W.A.T.) van and a lot of packaging variations. Curiously, these 2 figures, although part of at least a couple of playsets, were discontinued. 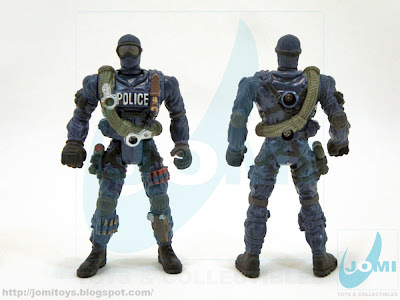 For all you police special forces enthusiasts out there, this night vision goggles figure must be one of the favorites. To present knowledge, there was no name for this one. 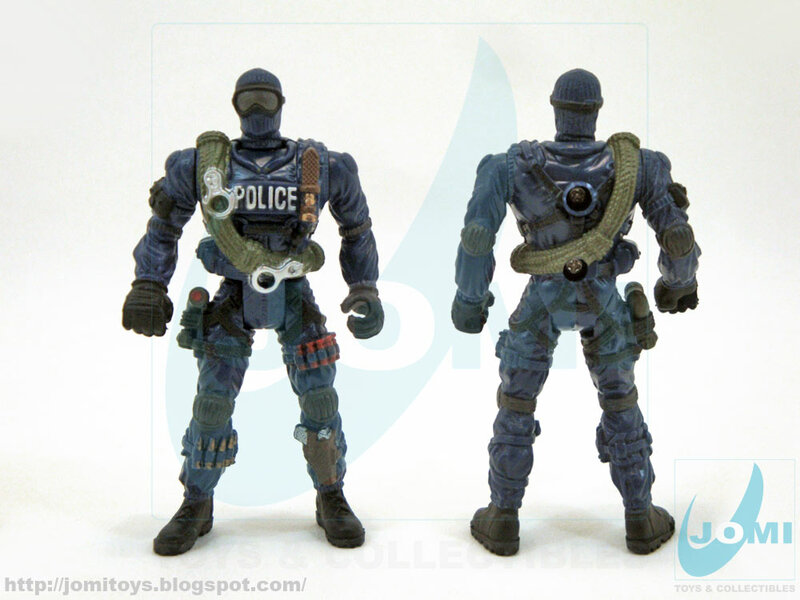 Also unnamed, this ´91 G.I.Joe "Snake-Eyes" look-alike is another Spec Ops team member candidate. 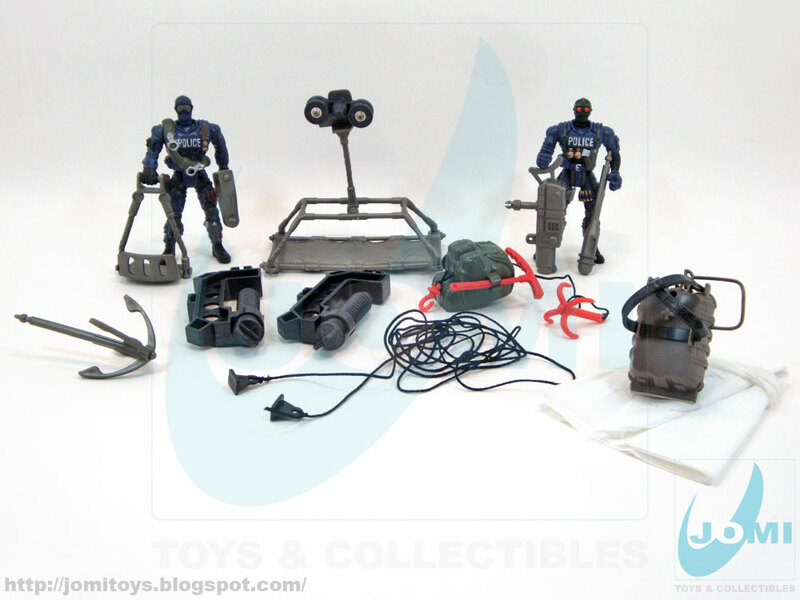 Also resembles ´88 G.I.Joe"Shockwave". 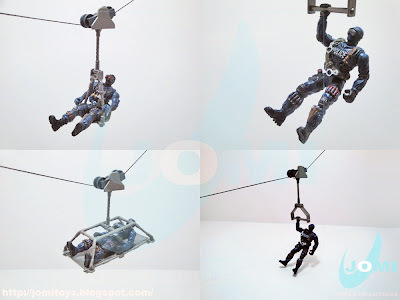 Items include abseiling accessories and "power weapon" with missile and hook. These slide smoothly. Great diorama additions. The parachute. It was made of raw heavy plastic. 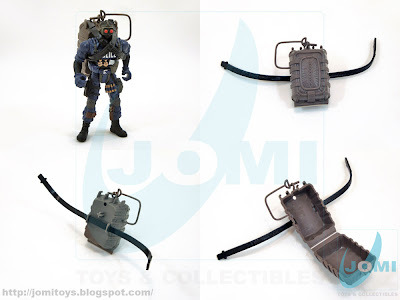 The backpack was very similar to G.I.Joe´s. Finally, the climbing equipment was completed with a backpack using 2 hooks. 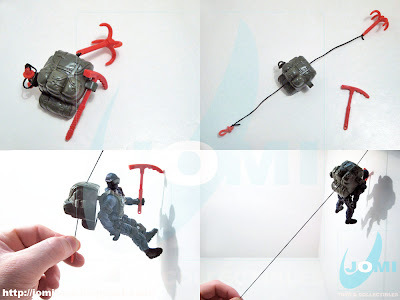 When pulling down the lower hook, the figure would slide up. For those who remember the "Masters Of The Universe" figure "Webstor", this backpack has pretty much the same mechanics.